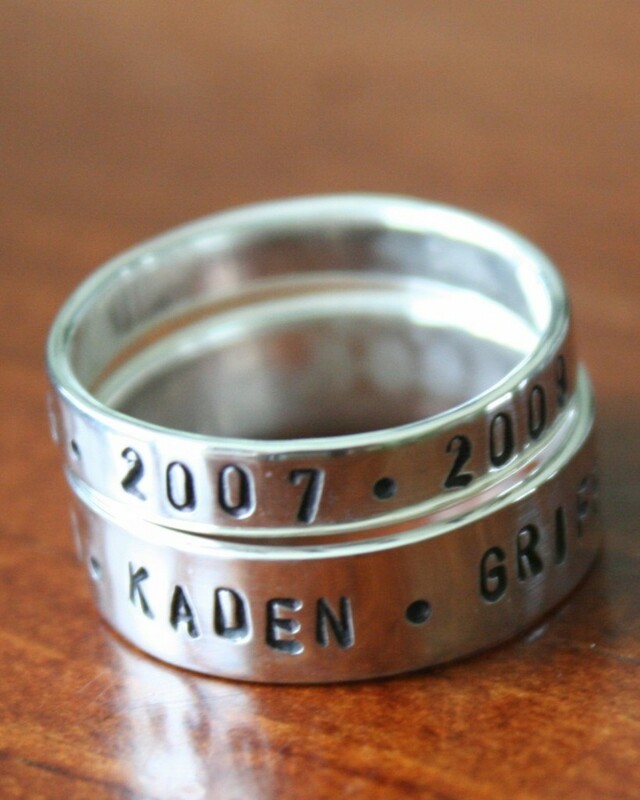 Personalized stackable family ring hand stamped with names of children, dates or phrase- keepsake anniversary, Mother’s Day or baby gift to honor those you love. Sterling silver- hand stamped- stacking rings. 4mm band is personalized with up to 11 characters. 6mm band accommodates up to 30 characters (including spaces and accent stamps). Sizes: 5, 6, 7, 8, 9, 10, 11, 12, 13. 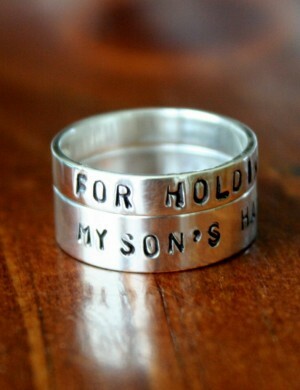 Categories: Hand Stamped Rings, Holiday Gift Ideas, Mom and Grandma Gifts, Rings, Stackable Rings. Tags: family name ring, mothers ring, name ring, stackable ring, sterling silver. Symbolic Ichthus fish pendant necklace- religious jewelry featuring the outline of a fish, which is a traditional symbol for Jesus and Christians, also known as Ichthus. Sterling silver necklace. Ichthus fish pendant measures 20mm x 6mm.